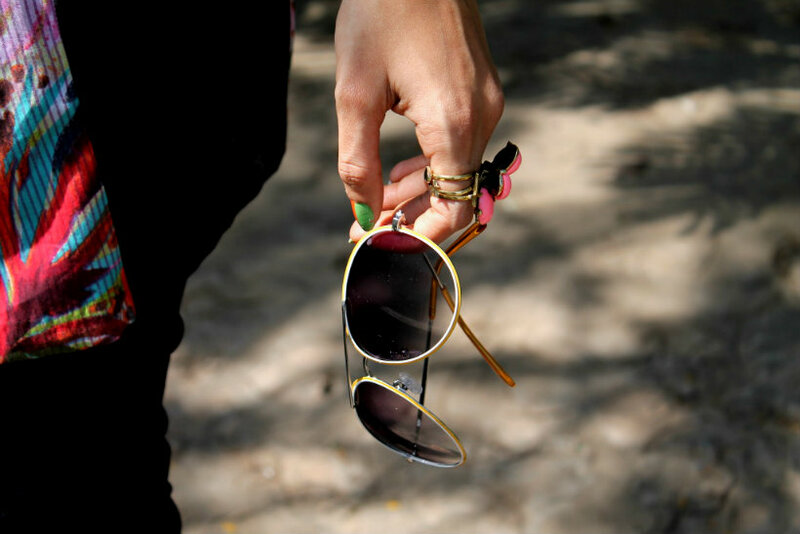 Stilettos Diary: Stilettos Diary for Fastrack India. Stilettos Diary for Fastrack India. Hope you are having a lovely weekend. As I told you, December was quite an eventful month. 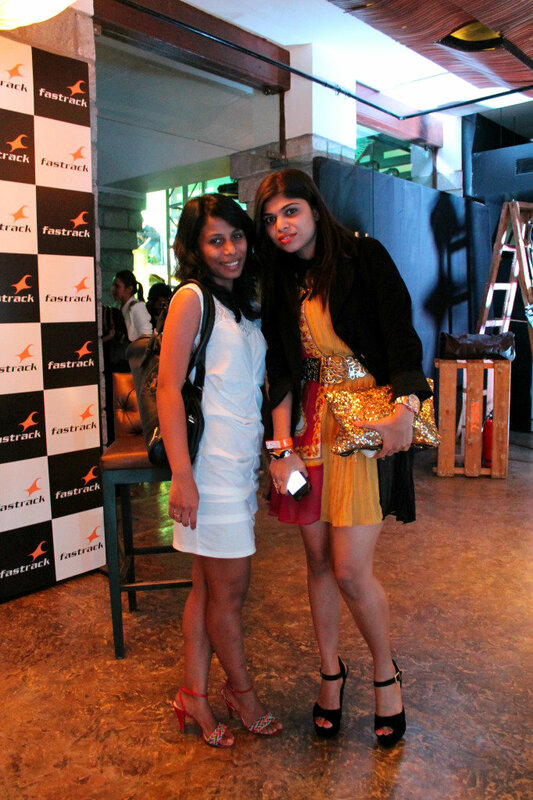 My friend Shreya and I had a great blast attending few events. 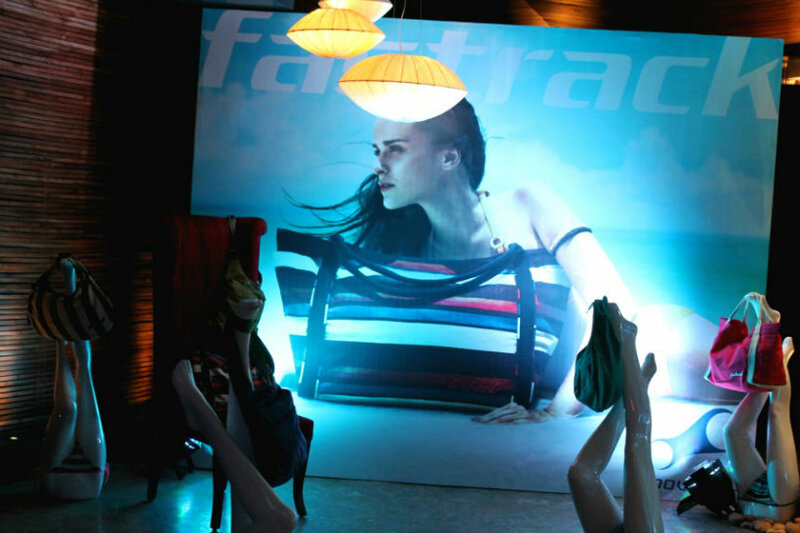 One of the event I attended was launch of Fastrack new collection at Fbar. I am extremely selective about the events I go to. Don't get me wrong, after slogging out at work during weekdays, working on the blog after coming back home, shooting for blog posts on weekend, I hardly get time for myself. I get many invite for parties, collaborations, launches to cover events, which I simply refuse. My idea of unwinding is watching a good movie and popcorn alone. I usually get bored in parties or I am just allergic to loud music. 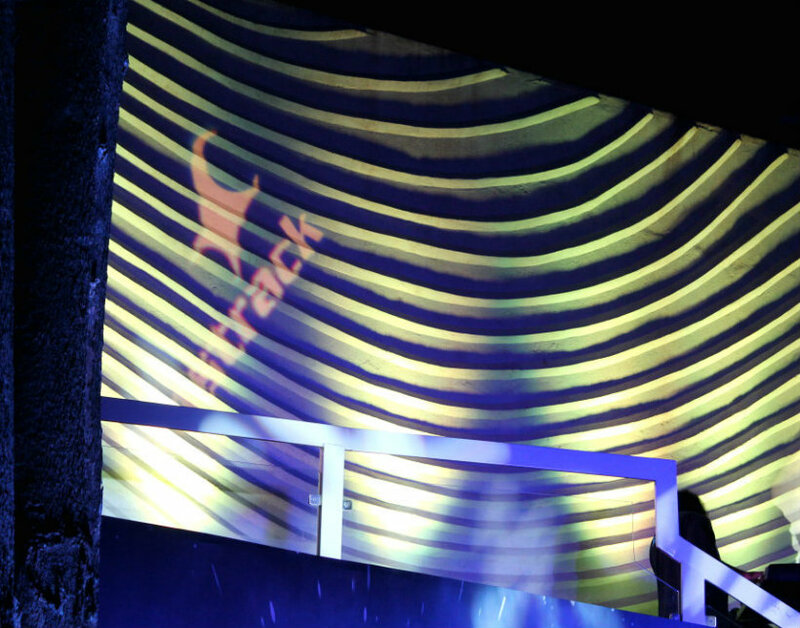 But Fastrack is one brand I feel at home. 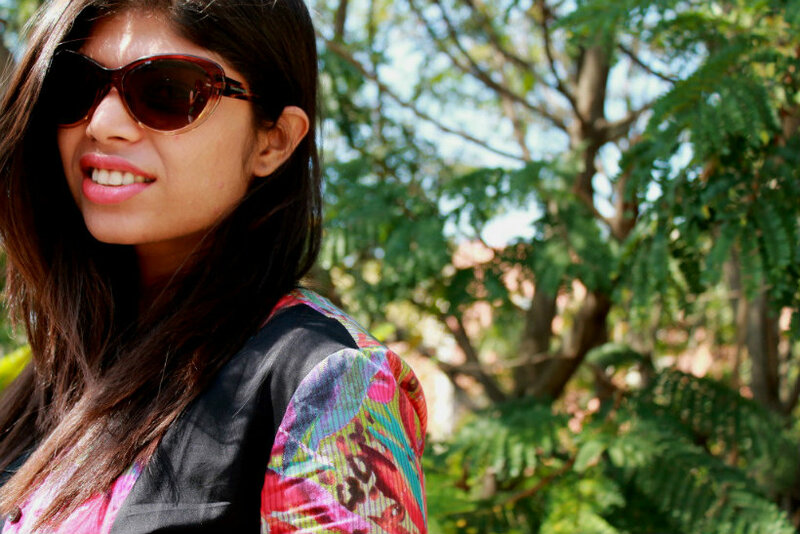 I always loved Fastrack as a brand and the collections it offers since my college days. This is one of those events I completely enjoyed and had a great time. 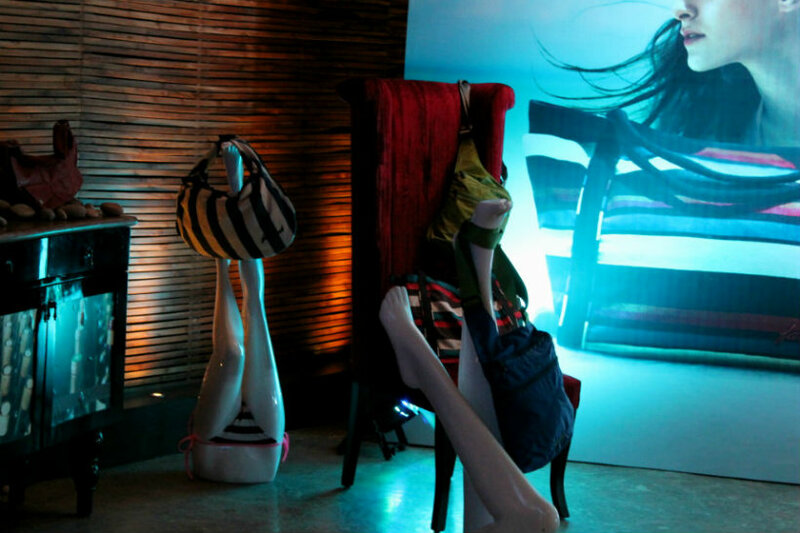 Recently Fastrack launched its new collection at Fbar with a fashion show choreographed by Prasad Bidapa. The collection echoed vibrant colors, stripes and military detailing. 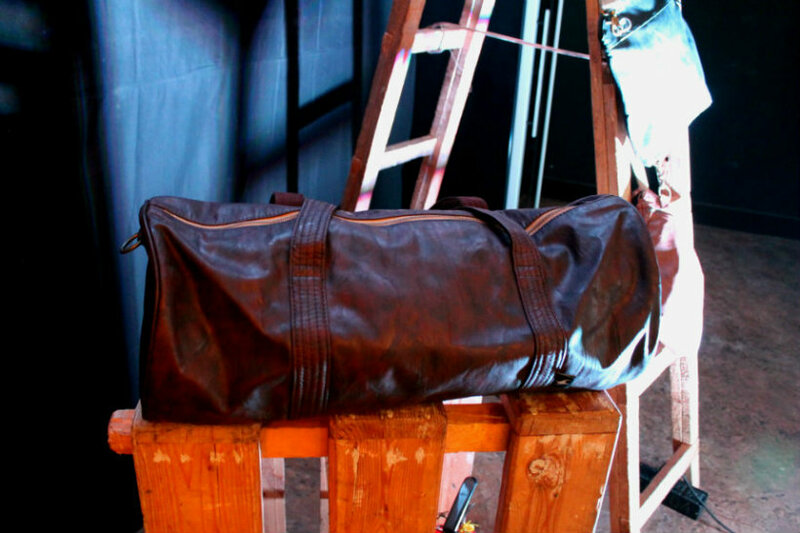 The new collection is affordable and adds required oomph to every day outfit. 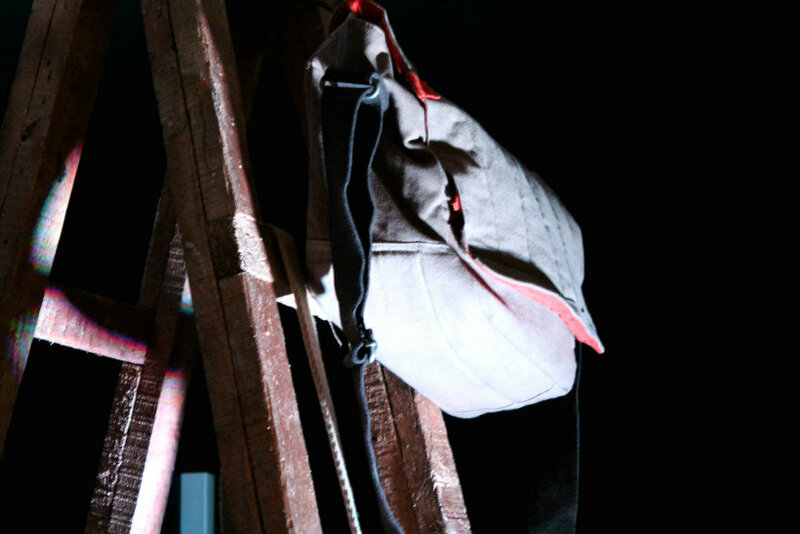 From backpacks, sling bags to travel bags, this time Fastrack offered a variety of options not only for college goers, but also to working men and women. In short, the collection painted the loud and whimsical demure Fastrack stands for. 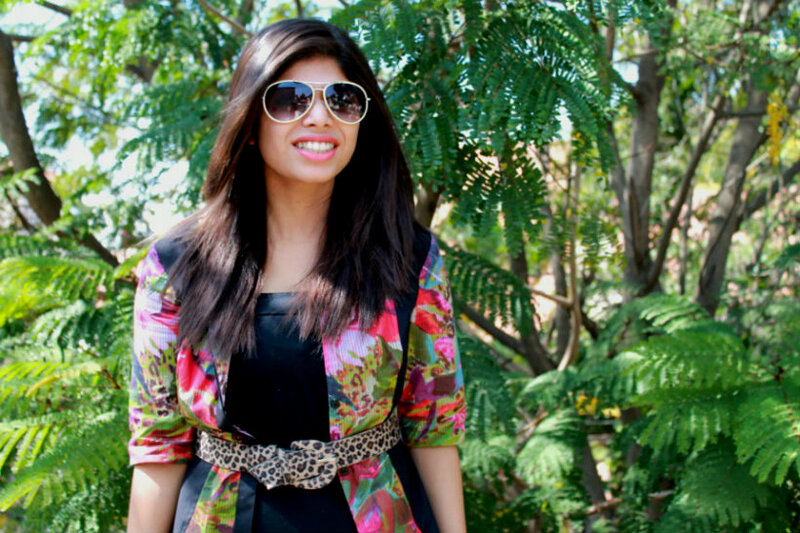 I am a huge fan of Fastrack sunglasses (remember my green aviators?). 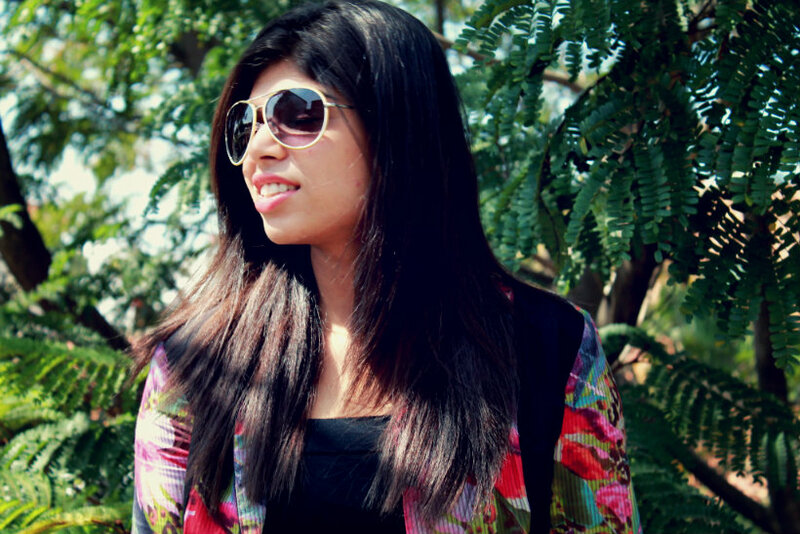 When Fastrack sent me these two lovely sunglasses knowing my love for aviators and cat eye sunglasses I couldn't contain my excitement. Sometimes when you go shopping you have karmic connections with a certain item which just defines your taste, well I had that moment with these yellow aviators. Stylish, chic just transforms the look of any outfit. 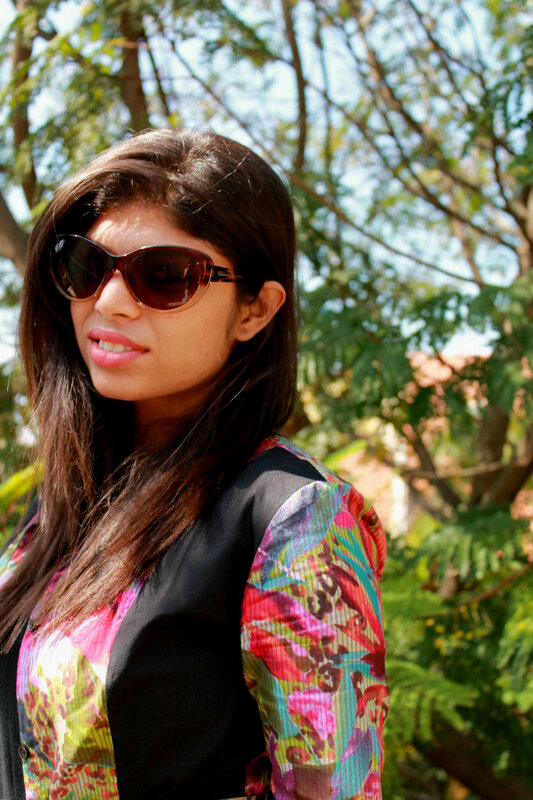 Cat eye sunglasses are here to stay and I loved the brown whimsical touch offered by Fastrack. Well, after seeing this what are you waiting for? Go check out the new collection. P.S. 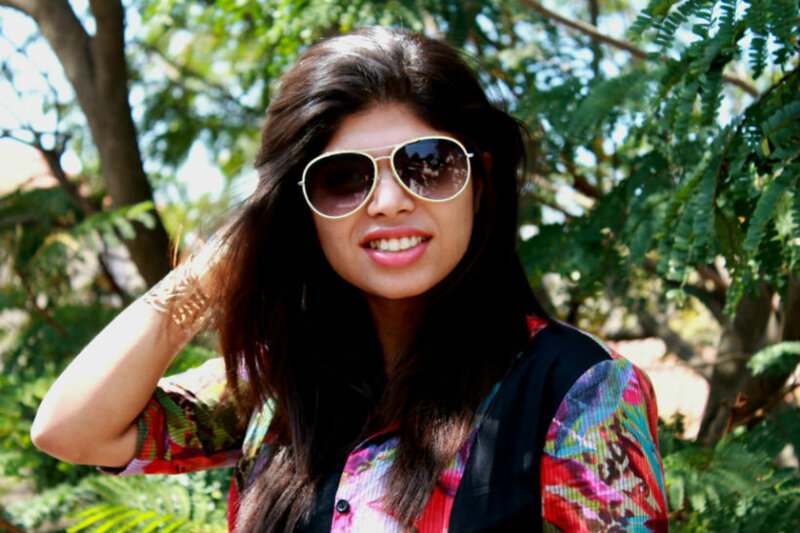 Thanks Shreya and Dhatri for the photos and last photo is the outfit I wore for the event. 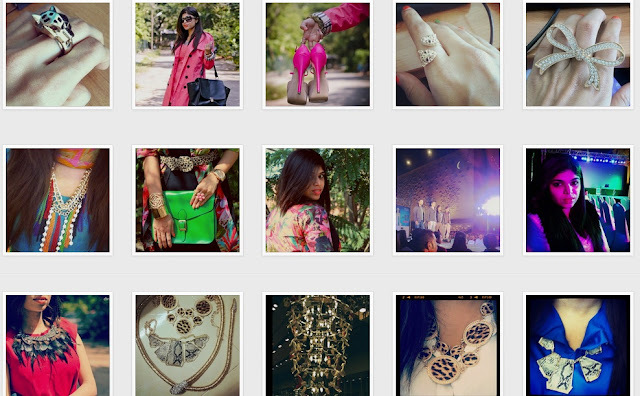 Of late I am obsessed with Instagram. I have been sharing my daily outfits,new accessories and more.Follow me on Instagram for daily outfit ideas and accessories overload! Love your pictures, so many wonderful colours! I'm also really loving your shades! You both look gorgeous, love your accessories and I'm glad you had so much fun!! Very nice pics. Have a great monday. I love that dress and the girl's shoes in the last picture! Amazing! Thank you so much for stopping by blog & welcoming me! I love your blog, you're so fashionable! You look lovely & your dressing sense is impeccable.i loved the sequin clutch & the belt in the last photo. the 1st one rocks looking great!! Balmain Effect - Black and White. Twenty Twelve - Trip down Memory Lane.